If you were impressed with Microsoft’s unveiling of the new Windows 7 Phone Series, you should definitely take a look at the first screenshots of their upcoming Marketplace service. As reported from Hexus, these are official screenshots from Microsoft, and give us a teaser of how the Marketplace interface will look upon release. As you will instantly notice, the menus are very Zune HD like, with all the relevant categories listed on the left hand side, depending on what type of apps you are looking for. In the second screenshot provided, you’ll see the impressive color schemes used by Microsoft – I think this really looks smart actually and definitely adds to the user experience when browsing. 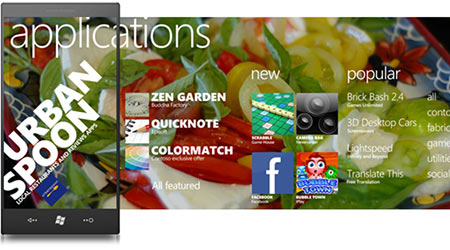 What are your initial impressions of the Windows phone 7 Marketplace layout? Do you like it?